Have you met Denisse? With its undulating lines, rim of shimmering pearls, and gleaming handpolished surface, the PEARL Denisse Ice Bucket is the essence of luxury. 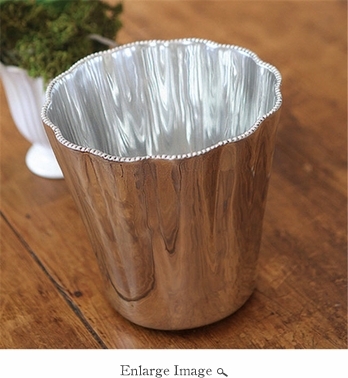 Filled with bottles of chilled wine our Denisse Ice Bucket will add an air of elegance to your home. A sandcast silver ice bucket with PEARL Collection Denisse styling, it is a gift that will be treasured for years to come. Pair with any of Beatriz Ball's PEARL Collection Denisse items to increase the serving options.